It looks like Jhene Aiko might’ve had a crush on Big Sean the whole time while she was married with her ex-husband Dot Da Genius. Or at least that’s what she implied Monday night when sharing her #MCM post. 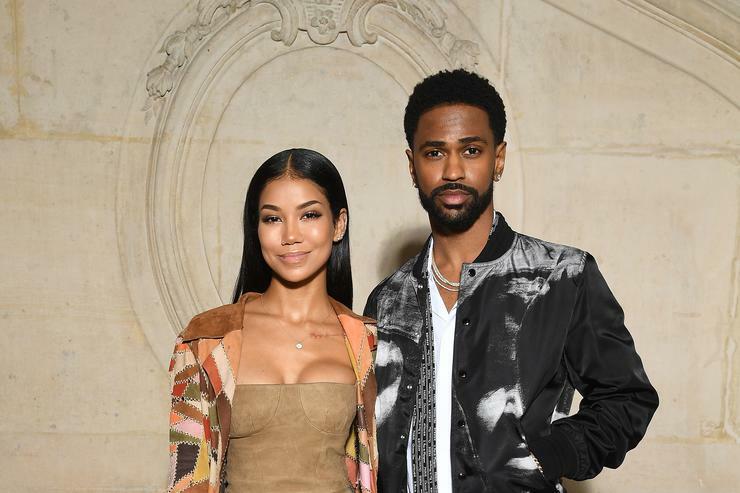 Jhene decided to show her boyfriend, Big Sean, some love by sharing a pic of him as her #MCM, but it was her caption that has raised some eyebrows from people online. Jhene said she had a “huge crush” on Sean for about 6 years now, but based on that time frame she was already married to Dot Da Genius. She and Dot Da Genius were together from roughly about 2014-2016, before finalizing the divorce last year. And if my math is right 6 years ago is right around 2012 or so. So something doesn’t seem right there. “#mcm 😍 hey instagram, i’ve had a huge crush on this rapper/ model for about 6 years now… can u guys please do your thing and put me in contact with him?” Jhene officially wrote as her caption. Now lets be real, this is probably being taken out of context a bit as having a crush on someone isn’t necessarily cheating and Jhene isn’t that type of woman, but this probably wasn’t the best use of words on her part here.